An exhibition, a statue, Proclus. In a dark winter Sunday of wind and rain I decide to visit a modern art exhibition in a museum close by my house. I cross the main entrance, I pay the ticket and go into the hall without having a good idea of ​what to expect. Around me, there is such a disharmony to initially make me believe that the building is undergoing maintenance, and I am reminded of various images of boxes of my last laborious relocations. Looking more carefully, I realize the misunderstanding: “that disharmony” is the exposure. To shy away from the stereotype of the average Italian who always flutters his unquestionable opinion abroad, I apply the stoic “suspension of judgment“, to avoid entering into a vicious circle of indignation towards those works, certainly due to my ignorance. I look without understanding at first work with empty paint pots apparently abandoned in bulk on an old worn and frayed carpet; the second with an office chair broken into a fishing net; I stare at the third: a wall of plasterboard on which a Madonna was glued, sideways, similar to a bloody flop of a bungling wizard that was trying to saw his valley in two. There are a dirty boot and next to it a ready-to-use toilet and underneath, horror, the bust of the god Neptune with a trident (nonne nefas est?). By now my suspension of judgment falters and I almost lose my balance stumbling on a tire that leans uselessly on the other rubble. I read a very pompous and authoritative explanation of what I have seen, on the demythologizing of the cultures that have conditioned and teased us, with a peroration of the freedom of the individual from his past. The destruction of art understood as an artistic moment. I think of the Buddha statues of Bamiyan blown up by the Taliban: it is easy to destroy, but to build well is another thing. My judgment is no longer suspended, now I am hostile to what I see … I admit my limitations on the practice of stoicism. There’s nothing here for me and maybe visiting this museum was not a great idea, so I could stop losing time and go home, rain permitting. I look up at the window on the other side of the room. It’s already dark. Beyond the glass, in what looks like an inner courtyard in the open, almost an impluvium, I see a regal shape in the darkness. Intrigued, with a certain dignified urgency, almost like a smoker looking for a hidden corner where to light a cigarette, I close my coat and go out to see what it is. Although modern, there is a majestic sculpture with a shield, helmet, hair, height, pride, and vibration: it is she, in the darkness, Minerva, impassive, apart from the chaotic nothingness of the exhibition. The face is only hinted at, she has no eyes, but I feel its blueness. Rain on my head and an embarrassed emotion to feel at home, after so much strangeness. Proclus, who had a great devotion to the goddess with the cerulean eyes, said that the product retains within itself an attraction towards the cause that produces it. What I feel in my chest is the desire towards the source, the return, the “epistrophé“. Minerva, born from the head of Jupiter armed in all respects, or, in other words, that is generated by the demiurgic Nous, rises up there, before me. I look around me, outdoors, on the patio: nobody. Inside: the crowd, around the works of the exhibition. The paths of chaos and cultural destruction are easier than Nous’s research. Now the real revolutionary culture is the classical one because that pathetic materialism reminds me of heated and tasteless soup, of lazy rich kids who would not be worth even as stone bearers for the master Phidias. An episode of Proclus’s life comes to my mind, as narrated by his disciple Marino. When he arrived in Athens for the first time, he immediately wanted to visit the Acropolis. At that time Greece was denying centuries of wisdom, dragged into the dogmatic spiral of Christianity, and the temples were gradually forgotten and then used as open-air quarries (destruction of the past, the theme of the exhibition). When Proclus arrived at the gates of the Acropolis he met the custodian who exclaimed: “Of course, if you had not come, I would have closed”. What can we say? We modern polytheists all feel a bit like Proclus when we visit our places and our stones with an eye different from that of the tourist or the traveler, as we are moved by that desire for divinity, the return, the epistrophé. The metaphysical construction of Proclus is nothing short of monumental. His work “Platonic Theology” is incredibly lucid, with cross references to the works of Plato and other great philosophers of antiquity. Let us look at the outline of the metaphysical depth of Proclus. The first cause of everything is the One, in full agreement with the Neoplatonic tradition that identifies the One of Parmenides with the Good of Socrates. The One can be honored only with silence and with the unification upstream of silence itself. Like every entity, the One is characterized by its own existence and its own energy. The existence of the One is the “Principle of Limit“, its energy is the “Principle of the Unlimited“. The Principle of Limit is what confers a limit and an identity to everything and in extreme geometric synthesis, we could associate it with the most basic definition of the universe: the point. Indeed, since it is not a participated entity, it is the “cause” of the point. The Principle of the Unlimited expresses the unlimited power of the One, the principle of unlimited expansion. These two principles appear in the mythology of Orpheus, respectively, as Ether and Chaos, and by combining they intertwine throughout the cosmos. The power of the One has, as its effect, a participated class of individual characteristics of unity, the Henads, which give unity to the universe. These are divided into independent units, which are Gods, and dependent on space and time, which are their divine representations. Its effects participate to every God, thus generating an updraft current that constitutes providence. The Gods are therefore the participation of independent entities (Being, Life, Intellect, Psyche, Nature, Soma) to the Henads, therefore they reflect the ontological characteristics of the Henads in the entity in which they live. The Gods are above Being (super-essential) and also above the Life entity, (super-vital), beyond generation and multiplication. The Gods also reside beyond the Intellect (super-intellectual) entity, i.e. they transcend the Mind itself. Since the Gods are close to the One, they have the characteristic of being unitary, because the One is the absolute Unity, of being good, because the One is also the absolute Good, of being divine, because the One is the absolute God. In each order, different functions of deities are identified. The God or the Gods who preside over the unparticipated cause, representing the essence of the cause itself or its permanence, are the Fathers Gods (πατέρες) and identify the “paternal” series. The Gods who preside over the activity of the cause or its progression and who then preside over the process of differentiation and production are the Mother Goddesses (μητέρες) and identify the “generating” series. The Gods presiding over the Effect or the return are the Sons Gods (γεννήματα) and identify the “perfecting” series. In the minor orders, there is a fourth series participated by the internal Energy of the unparticipated Cause, the series of Guardian Gods (φρουρητικός). In other words, each unparticipated cause (Being, Life, Intellect, Psyche, Nature, Soma) identifies a divine order and within each order, there are three main series of Gods, the paternal one, the generating one and the perfecting one. The first order under the Henads is the Being, where 3×3 = 9 noetic (intelligible) Gods dwell. Then follows the order of Life, with 3x3x3 = 27 noetic and noeric (intelligible and intellectual) Gods. The Mind follows, with a total of 72 noeric (intellectual) Gods. Among these, Saturn is the Father God of Mind, or the pure, permanent, unmixed Mind. When a soul comes to rise at the level of Saturn, she lives the mystical experience of henos, lasting peace, the Safe Harbor. 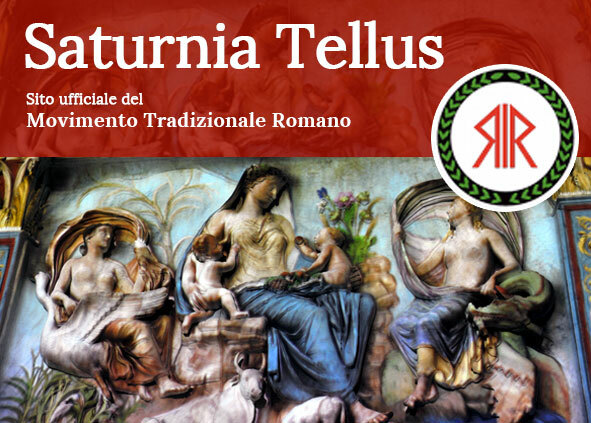 It is not surprising that in the Saturnalia, the golden age of perpetual happiness is celebrated. The progression of the Mind is the Goddess Rea, which represents the generating vitality of the mind itself, the potentiality of generating thought. The activity of the Mind is Jupiter, the Demiurge, the one who can access the purity of the forms and copy them below, in the cosmos. Most of our spiritual activities take place in the order of Psyche. The highest Gods are transcendent, not directly reachable. They are called hypercosmic because they do not dwell in our universe, but metaphysically above it, beyond the celestial vault. Among them there is the paternal or demiurgic triad, made up of Jupiter, Neptune and Pluto, which at the top level is unified in the noetic demiurgic Jupiter, then the life-giving triad called Core, consisting of Diana – Hecate, Proserpine and Athena (female triad linked to the Life or maternal series), and the rising triad of Apollo – Elio and the immaculate triad of the Corybantes. Under the hypercosmic Gods, still in the order of Psyche, there are the simultaneously hypercosmic and cosmic Gods. These Gods have the characteristic of being able to be simultaneously in our cosmos and in the hyper cosmos, so they are the Gods to whom our rituals are naturally addressed for their characteristic of being a bridge. We recognize the series of the Gods of Olympus among them: the demiurgic triad consisting of Jupiter, Neptune, and Vulcan, the guardian triad from Vesta, Minerva and Marte, the life-giving triad from Ceres, Juno and Diana, and the rising triad composed of Mercury, Venus, and Apollo. Below there are also numerous cosmic gods, such as the planets, and again, under the gods, the demons who are in charge of many functions, like the natural ones of necessity, but also in leadership roles when they help the theurgist to rise to the gods. The gigantic work of Proclus can absorb us so much that it generates the great misunderstanding that it could be sufficient an intellectual effort to approach the Gods. Actually, Proclus, with his production of hymns and with the example of his own life, sends us a completely different message: theology is not enough, theology supports the religion but does not replace it. It is from here that we must start. According to Proclus, everything naturally intones a hymn to return to the origin, even the heliotrope and sunflowers participate, raising a “physical hymn” when they play in the wind or when they turn to the sun. Everything is connected, everything is an imitation of the higher level. Rituals in the physical world attract the gods who move us towards the high spheres: the kind of lightness in the heart that is felt after having participated in a good ritual. A sudden gust of wind brings me back to earth, in front of the statue. I wonder whereto a chain of thoughts has brought me. I do not know if I stayed there, dazed, two seconds or twenty minutes. The statue seems to smile. I smile too, almost accomplice. Yes, it is from here that we must start, from the direct experience of the divine, in a clear and organized structure, which rises above chaotic thought. I greet the Goddess thanking her for the thoughts I had. In that exhibition, I felt lost, but now I can go out safely, in an ordered and divine universe. Awareness is the first step towards the way back.